Meteor House's Facebook page just posted this pic with the following text: "Eight (yes eight!) proofs in from the printer over the last few days. 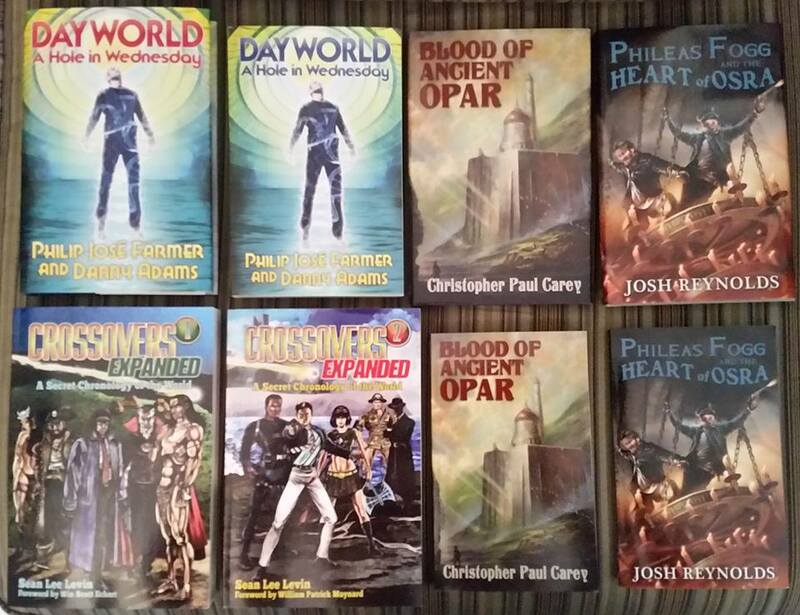 These books will all be debuting at FarmerCon! I could not be happier. 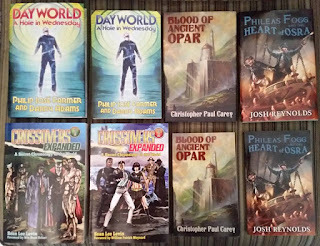 Thanks to Michael Croteau, Paul Spiteri, and last but never least the incomparable Win Scott Eckert for giving my first published books a home!